Writing ‘His Afflicted Mind’ was a huge undertaking for Prabigyan but one he calls “a therapeutic process”. The book follows three characters (Arlo, Arya and Dedrick) in the fictional city of ‘Ashvale’ as they struggle through mental health issues. 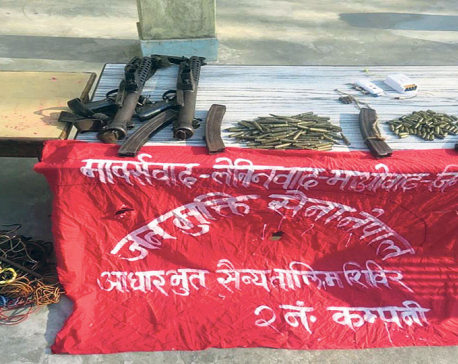 …writes Prabigyan Aryal. Currently a second year A levels student at Kasthamandap A Level Academy, Prabigyan has loved writing and reading since he was in the seventh grade. Writing allowed his imaginations to become more than wishful phantasms; it gave them a basis for existence. Writing somehow validated and confirmed all that he thought and felt. And this validation was what he most needed at the age of 16 when he was diagnosed with clinical depression and borderline personality disorder. 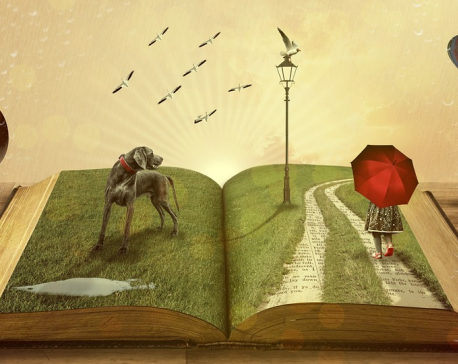 Writing became his therapy and he imagined fantastical lands and created fictional characters all of which he depicted in his stories. “I was always a shy kid growing up and I have troubles speaking to large masses of people. I’ve always made imaginary friends and I was comfortable with them,” says Prabigyan. In the last year, he has also begun posting snippets of what he wrote on Instagram where he has steadily gained a following. People wrote to him about how his words resonate with them and this way Prabigyan was comforted knowing that he wasn’t the only one going through what he did. His parents were mostly unaware of his struggles so he sought solace in his own words and largely depended on his counselors for help. On one of his sessions, he imagined a girl, in circumstances similar to his, lying to her counselor about all that she felt and experienced. Soon enough, that one scene led into a full-fledged story and Prabigyan was compelled to pen it down. In close to three months (during his first year of A levels) and hours of writing sessions, scraping off lines, writing and rewriting paragraphs he completed his first book, “His Afflicted Mind,” which is slated to release on New Year’s eve. Writing ‘His Afflicted Mind’ was a huge undertaking for Prabigyan but one he calls “a therapeutic process”. The book follows three characters (Arlo, Arya and Dedrick) in the fictional city of ‘Ashvale’ as they struggle through mental health issues. The book address issues of sexual assault, self harm, and is central to Prabigyan’s own internal struggles. Arlo, in particular, is a semi-autobiographical character. “Arlo is me, all that he feels is what I feel. Arlo wants to be a writer just like I do and he has manuscripts of books ready for publishing. He is a projection of myself,” says Prabigyan. This book is also Prabigyan’s attempt at bringing awareness to mental health issues in Nepal. He recounts an episode where people at the copyright distribution were puzzled to hear of depression. “They had never heard of depression. In Nepal, people are either unaware of depression or just misinformed. I want people to understand that depression isn’t just sadness. It isn’t a fleeting emotion but a mental health problem and that it ought to be taken seriously,” he says adding that, as a student of psychology, he also felt the need to shed light on the issue on an academic level. 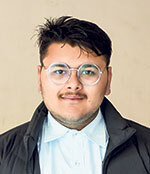 And at the book launch on New Year’s Eve that is set to take place at Around the Corner in Bansbari, Kathmandu, bringing awareness to the issue is what he aims to do. The organizers of the book launch, Adriz Basnet and Manish Neupane, both agree that creating awareness on mental health is important. “On a personal level, we believe this is what we can do to help. By giving voice to Prabigyan and his story, perhaps people will finally come to grasp the gravity of mental health,” says Adriz. The book is being published by Daami Publication (owned by the organizers of the event). The event will begin from two in the afternoon and along with the book launch there will be live music, DJ sessions and sun down events. Some musicians that are lined up to perform at the event are Sahitya Nepal, Abhishek Gurung and Prashant Tiwari. “This event also aims to give a platform to budding musicians. And there will also be a talk session with one of Prabigyan’s counselor’s and Ravi Shakya, the head of the Psychiatric ward at Patan,” explaisn Adriz. Prabigyan, along with the organizers, looks forward to the day with much enthusiasm. Although he is now at a much better place than he was before, he wants to share his story and give a voice to topics that are largely overlooked in Nepal. 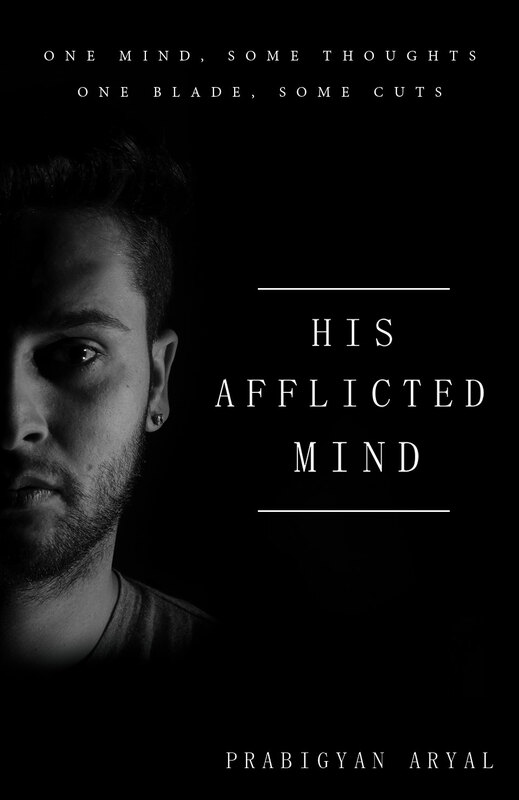 “His Afflicted Mind” is his first release and also the first installment in a series. Prabigyan is already working on the second book.